Former Defense Minister begins election campaign by attacking PM for policies on Hamas and haredim. The Yisrael Beytenu party on Sunday launched its campaign for the 21st Knesset with an attack on Prime Minister Binyamin Netanyahu. At the press conference marking the launch of the campaign, party chairman Avigdor Liberman presented a series of "critical" votes in which he claimed he stood by the right by voting against the proposals, while the prime minister supported the proposals and voted in their favor. "You have to understand that Netanyahu failed on many security issues, and the big failure is his submission to Hamas," Liberman said. "There is no greater shame than that, and I hope that at last people will understand it. Then they will look at the sequence of events and realize that they need a leader who does not get confused and does not fold [in the face of terrorism]." "The decision to have cease-fire after the firing of 500 rockets was the main reason I resigned as defense minister," Liberman said. "While Netanyahu takes off for Chad, just a few hours later, the Qatari emissary is bringing suitcases with another $15 million that is due to enter the Gaza Strip today, or at the latest tomorrow," added the Yisrael Beytenu chairman. "A trip to Africa can not cover up this shame, the surrender of a sovereign state with a strong army and security services to a terrorist organization." Liberman also attacked Netanyahu for his handling of the draft law. "The problem that Netanyahu will always surrender to the haredim. Liberman will never surrender to the haredim." "I believe in the principle of 'live and let live.' 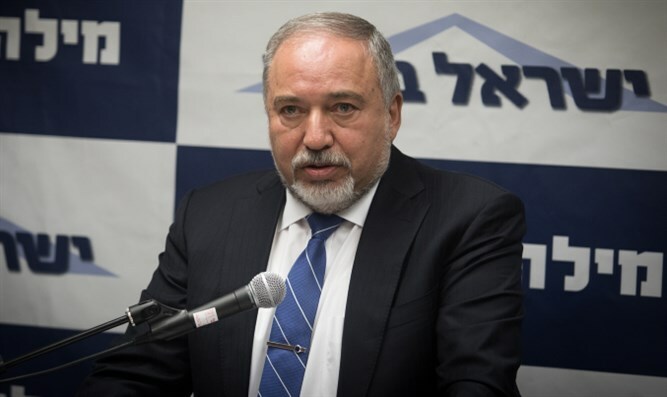 hat is the principle that guides us, and we succeeded time after time in stopping all kinds of attempts to change the status quo," Liberman said.